I’m not a very good painter. (As in painter of walls and furniture.) I’ve had ambition to paint, but never enough to get me through an entire project, or at least, an entire project done well. I can see the potential in a worn piece of furniture. I can imagine what a room would look like in a different color. But usually that’s where my motivation ends. My niece is moving in for the summer. I have a spare room and a spare bed, and instead of hauling her dresser out here from Minnesota, I told her I’d get one. I can’t find the photo I took of the entire dresser, but you get some idea of its ugliness. The blessing and curse of dating a carpenter is that I can’t fake my lack of carpentry knowledge. The blessing is that I can plead ignorance (or actually BE ignorant) when it comes to things I know I can’t or don’t want to do, like fix the exhaust fan in the bathroom. It’s a curse when I think I can do something and I screw it up. In my mind, the dresser project was going to go this way: Pick a main color and an accent color, buy a brush, throw down a drip cloth and paint. Boom, done. In Jim’s mind, the dresser project was going to go this way: Ask the guy at the paint store what he recommended I do to the dresser to get it ready for the paint. Sandpaper? What? Huh? Ask the guy at the paint store to recommend the right kind of primer. Primer? Ask the guy at the paint store to recommend the right kind of base paint. You mean there’s more than one kind? Buy a block of medium sandpaper. Buy a 4-inch roller and a couple of pads. Go home. 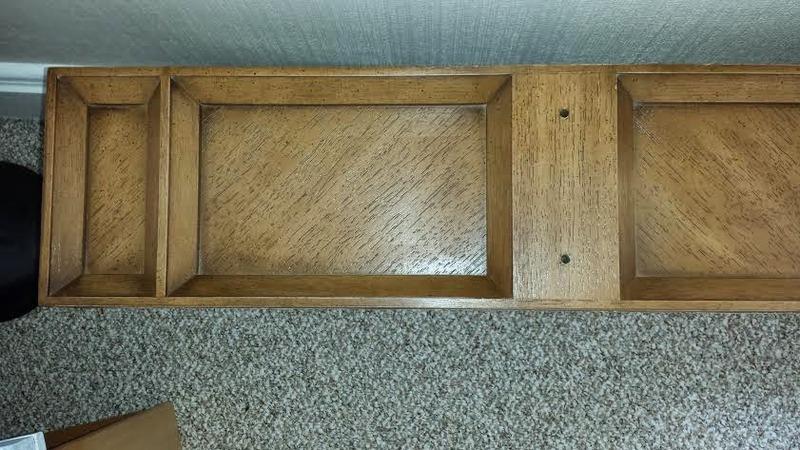 Remove handles of the dresser. Scuff dresser. Prime dresser. Wait at least four hours. Those are the instructions where? On the can? Paint dresser. Wait another four hours. This will take forEVER! Paint dresser again. Next day (next day? ), prepare area for accent color by taping the edges of the bevels. Paint accent color. Wait four hours. Paint accent color again. Dry overnight before reassembling. Boom, done. Asking questions and painting things slowly and deliberately was new to me. Painting was supposed to be easy, something we all innately know how to do, right? Gee, hmm…maybe that’s why my painting projects never turn out the way I envisioned. The reason so many of us don’t lose weight or don’t keep it off is that we never took the time to learn how. It should be easy, right? You stop eating so much, you move around a little more. Boom. Done. But it’s not that easy. There’s way more to it than that. And it starts by asking the right questions, both of ourselves and of others who know what they’re talking about. However, knowledge only enhances ambition. You can be excited you bought the right paint, feel smart that you bought the right roller and pat yourself on the back for selecting the right drop cloth, but the dresser won’t paint itself. Boom/done doesn’t happen in successful weight loss and maintenance. Success is an every day commitment to patience, ambition, and learning how. This entry was posted in Weight Loss, Weight Maintenance on May 20, 2014 by Lynn Haraldson. Boom, done! Love it, great analogy. And of course I want to see the finished dresser! we need a youmeSAUNA skype!! “…Knowledge only enhances ambition.” It's also power and gives me the feeling that I can be successful. 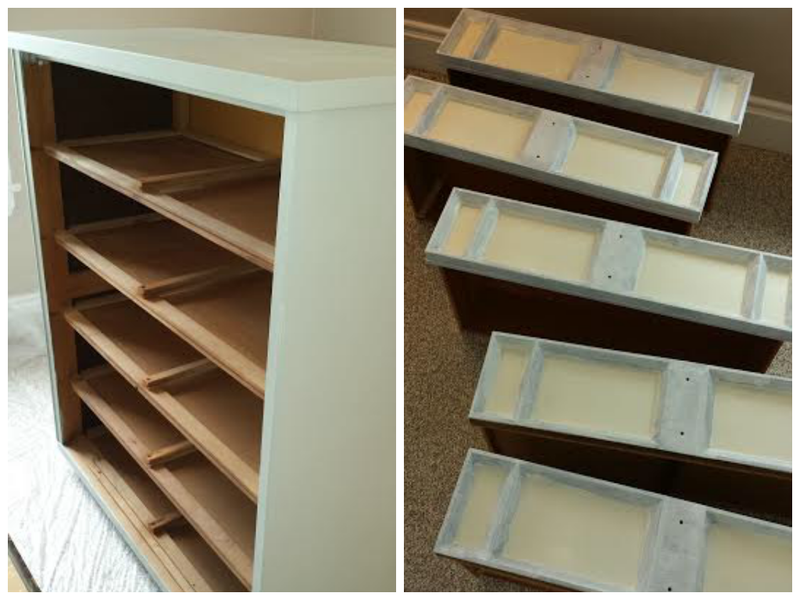 Like Shelley – I want to see the finished dresser! This is so insightful. What a brilliant analogy. That initial burst of enthusiasm when you resolve to make any kind of lifestyle change might propel you over the first hurdle (or few hurdles), but it takes dedication and patience to see things through.